GSTR-3B return must be filed by all persons having GST registration up to June 30th 2018. GSTR-3B return is due on the 20th of each month. In the 27th GST Council Meeting, a decision is expected on the filing of GSTR 3B return. In this article, we look at GSTR-3B return filing in detail along procedure for filing online. GSTR 3B return is due on the 20th of each month upto June 2018. Entities who have not filed GSTR 3B return for July will have to pay a penalty of Rs.200 per day. You can easily prepare GSTR 3B in the format to be filed on the GST Portal using LEDGERS GST Software. To prepare GSTR 3B, download the excel file, populate the invoice information and upload it to LEDGERS GST Software. Based on the invoices, GSTR 3B for the month of July and August will be prepared by the system automatically. Who should file GSTR-3B return? GSTR-3B return must be filed by all person registered under GST until the further orders from GSTN upto the month of June 2018. What is the due date for filing GSTR-3B return? GSTR-3B return is due on the 20th of each month. What is the penalty for not filing GSTR-3B return? The penalty for not filing GSTR 3B return is Rs.50 per day, in case the taxpayer had any transactions during the return filing period. The penalty would be Rs.20 for not filing NIL GST return. What details must be provided in GSTR-3B return? GSTR-3B is a simplified GST return, in which outward supplies and inward supplies are not matched. Hence, the taxpayer while filing GSTR-3B return is required to furnish details of both outward supplies and inward supplies. The table below shows the details that must be submitted in GSTR-3B return. Explanation: In the first table, details of both inward and outward supplies must be provided by the taxpayer. Also, all heads must be broken down into the categories of taxable value, IGST, CGST, SGST and Cess. For example, if a taxpayer issued invoices worth Rs.1 lakhs in the month of July and collected Rs.18000 as IGST, then in row (a), total taxable value, Rs.1 lakh must be mentioned. 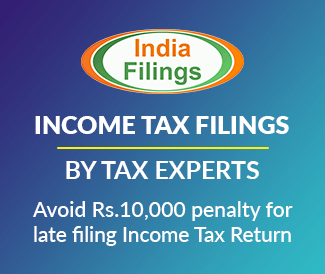 The IGST of Rs.18000 collected must be mentioned in row (a) under the heading Integrated Tax. Similarly, all zero rated supplies must be mentioned in row (b), NIL rated outward supplies must be mentioned in row (c), inward supplies wherein reverse charge is applicable must be mentioned in row (d) and Non-GST outward supplies must be mentioned in row(e). Explanation: In the second table, details of supplies already listed in 3.1 (a) is further broken down. This table would be applicable only if the taxpayer made taxable supplies to unregistered persons, composition taxable persons or UIN holders. For supplies made to unregistered persons, the total taxable value and amount of integrated tax collected must be provided for by place of supply or State. The same breakup must also be provided for supplies made to composition taxable persons and UIN holders. UIN is provided to embassies, consulates and UN bodies. Input Tax Credit Reversed: Rule 42 of the CGST rules pertain to the procedure for determination of input tax credit on inputs or input services and input tax credit reversal. 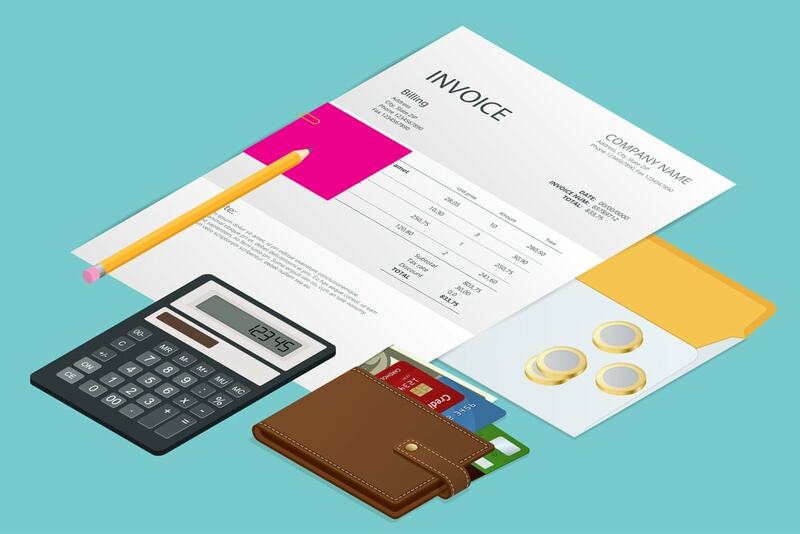 This section would be applicable for inputs being partly used for the purposes of business and partly for other purposes, or partly used for effecting taxable supplies including zero rated supplies and partly for effecting exempt supplies. Rule 43 of the CGST rules pertain to the manner of determination of input tax credit for capital goods. This section would be applicable for the taxpayer claiming input tax credit on capital goods, which are being partly used for the purposes of business and partly for other purposes, or partly used for effecting taxable supplies including zero rated supplies and partly for effecting exempt supplies. Net Input Tax Credit Available: By netting-off, the available input tax credit and input tax credit reversed, the taxpayer would arrive at net input tax credit available. Ineligible Input Tax Credit: For certain items like transportation of goods, health club memberships, travel benefits extended to employees and food, input tax credit cannot be claimed. All such ineligible input tax credit under Section 17(5) of the CGST Act and other notification must be listed. Explanation: In this table, value of inward supplies that are nil-rated or non-GST inward supplies received by the taxpayer must be mentioned. Since SGST input tax credit cannot be used for CGST payment, the cell is listed as NA. Similarly, CGST input tax credit cannot be used for SGST payment and the cell is listed as NA. 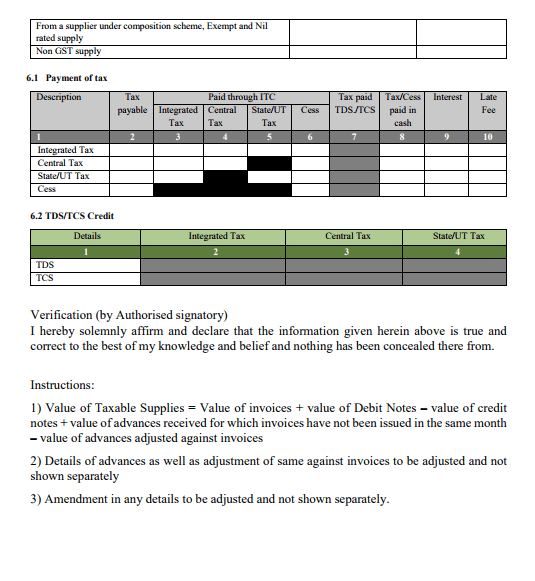 Explanation: In this table, details of TDS and TCS credit available with the taxpayer is listed. As mentioned above, since TDS or TCS provisions have not been implemented, this table need not be completed. 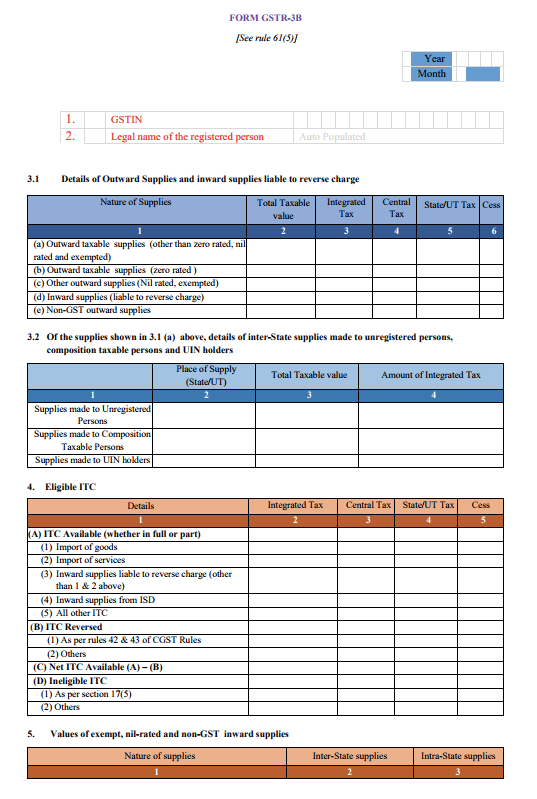 How to file GSTR-3B Return? GSTR-3B return can be filed online through the GST Common Portal or using LEDGERS GST Software. Based on the invoices raised and purchases invoices recorded, GSTR-3B return can be prepared easily.